We Personalize this award with our special full-color processtion. 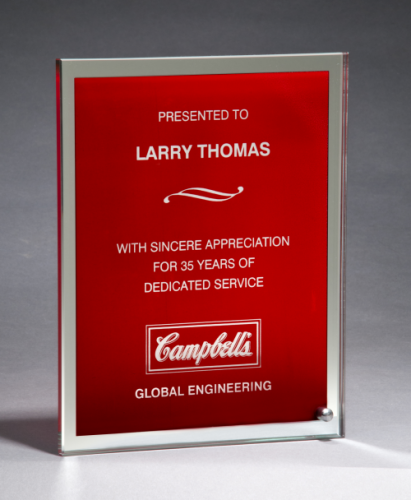 Glass plaque with decorative post allows portrait or landscape positioning. 3/8" thick glass. Individually boxed. PRICING INCLUDES ENGRAVING !